Penny Wong has crawled out from the cave she’s been in since December to tell a climate conference that Julia Gillard wants a carbon trading scheme. Some of the world’s leading climate change scientists have gathered on the Gold Coast to discuss how the world can best adapt to a warming world. 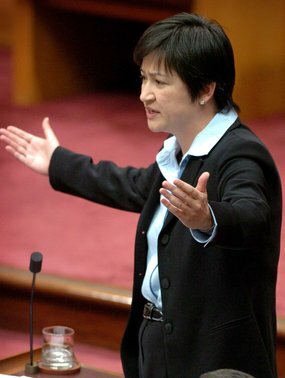 Senator Wong said the government would listen carefully to what the conference had to say. “Julia Gillard has made clear her commitment to this issue, and her views about the need for a price on carbon,” she told reporters. Ahh, how I’ve missed Penny (not). When they consistently reject peer-reviewed science that is contrary to their agenda, debate can’t be too “important”. Listening carefully isn’t the same as paying weight to what is being said, either.. which is presumably why they didn’t say that’s what they’d do.